"The most well-received back prevention/education program I have seen. The instructors are energetic and really "know their stuff." Our back injury rate was 30% of our total camp claims. We have had NO back injuries in the past 12 months!" "Of all safety training that I've offered, [BodyLogic's] has been the most effective. The service is superb, the trainers are skilled, energetic and genuinely care about the employee." 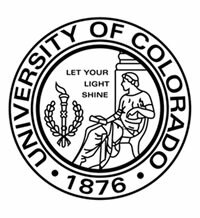 "…The only program we ever presented where there was not a single complaint about participation." "I have experienced significant total incident rate improvement over the last few years with a specific 33% in 2001 over 2000. Implementation of BodyLogic's back safety and overall ergonomic strategies have been a significant factor in these improvements and in the overall reductions of accidents. 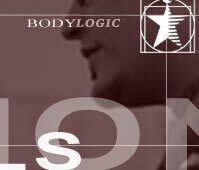 I have found the programs of BodyLogic well received at all levels and foundational to seeking safety improvement." "The real payoff has been in an overall decline in lost workdays and the reduction in the severity of claims. Teaching employees proper body mechanics and stretching exercises has not only helped prevent injuries, it also helps employees recover more quickly when injuries do occur." "The training gives employees knowledge that they can use at work and at home to ensure a well-supported back. And it's applicable for workers from custodians to office staff - it bridges occupational groups. I was hooked by the personal assessment that showed me my weak points and exactly how to improve my back function." "The feedback from our firefighters has been very positive, and the training has been well received. I find their approach to be very innovative and the trainers do a good job of combining their expert knowledge of the subject with interactive people skills. The job of firefighter, especially in departments with a large commitment to EMS, had inherent workplace risks that are unique and sometimes outside of our control. Injury prevention training and continual focus on preparation will help departments minimize the number and severity of injuries that occur." Click on the logos below to read about our work with each company.